Super opportunity! 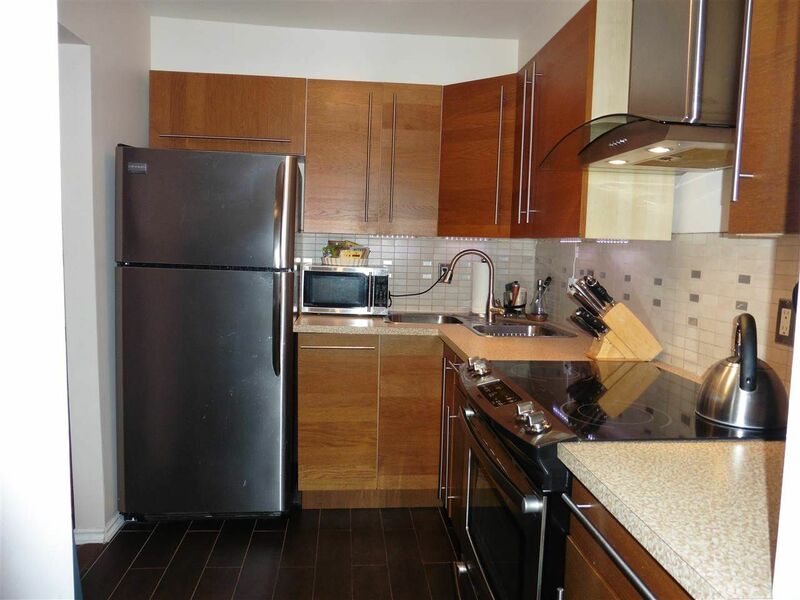 An absolutely gorgeous one bedroom suite that is beautifully renovated and lovingly maintained! You'll love the high end gourmet kitchen with soft-close cabinetry, under cabinet lighting, double sink, designer fan hood, and stainless steel appliances, including a full size stove. Many in the bldg. are apt sized. The totally re-done bathroom has an inviting soaker tub and a unique sink. Attractive wood grained laminate flooring throughout this spacious suite provides a cozy atmosphere. Very reasonable strata fee includes hot water and H/W heating. Enjoy the large covered balcony year round. Excellent building w/many improvements including re-piping, boiler, parking membrane, deck repairs, paint and landscaping. One pet is OK. Great Uptown location! Just move in and enjoy! Excellent value!